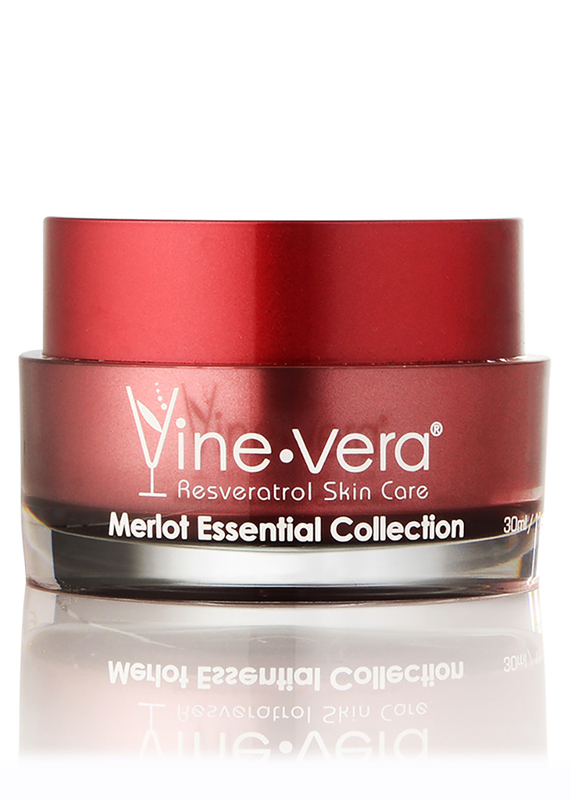 You cannot add "Resveratrol Merlot Moisture Day Cream" to the cart because the product is out of stock. 50 ml. / 1.69 fl. oz. 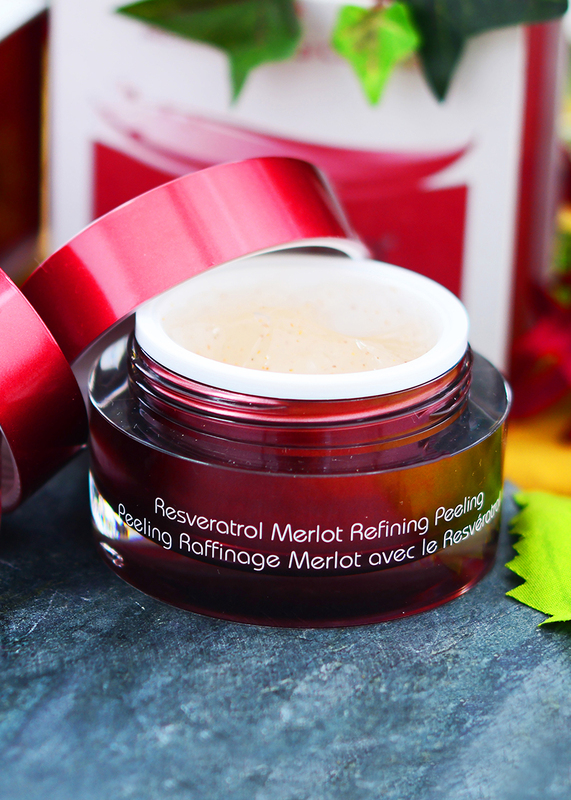 Resveratrol Refining Peeling is designed to gently remove dirt and oils that sit on the surface of the skin. By ridding your skin of this buildup, you will reveal a brighter, more radiant-looking complexion, without stripping your skin of its vital oils and moisture. Hello how old are you? This product was like finding a diamond in a mine! Yuuusss! Thank you! Amazing how it changed my skin appearance took it from dull to vibrant and especially around my eyes giving me more smooth and tighter looking skin. Vine Vera you had me at “look what this product can do for you in just seconds !” When I was asked to try it out and I was simply amazed that if my skin can look and feel clean and smooth in seconds could you imagine what it can do for you over time? 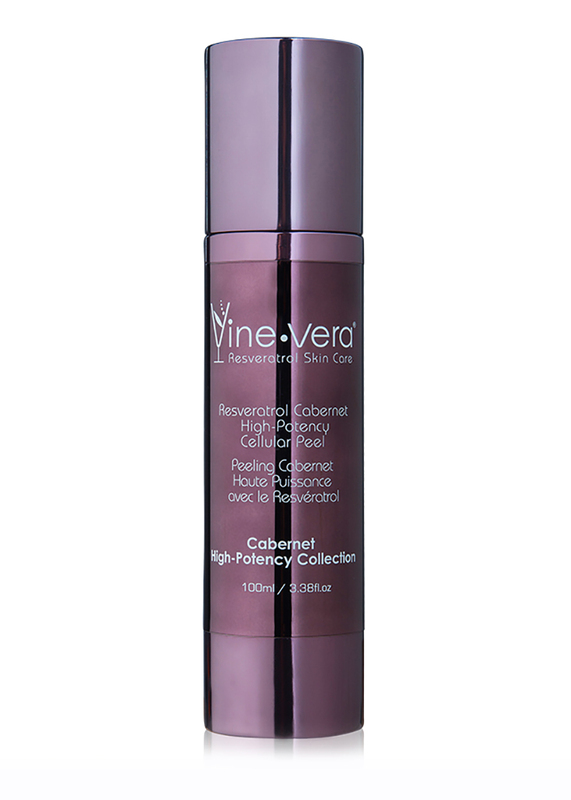 Well it still amazes me when people come up to me and say “I can’t believe that is your daughter you don’t look old enough to have a daughter that age you look like sisters, hello how old are you?” Hands down Vine Vera Merlot collection, it’s grape to know you! I bought this at a Kiosk in a local mall. The sales representative tested this product on me, and i instantly fell in love. At first, I decided not to buy because of the price. I went home and did some research, and I was back a week later to buy an entire kit. I love the light, non oily feel of this exfoliating peeling. You can literally see the dead skin coming off, and it leaves your skin so soft!! Everyone needs to give this a try, because you will love it! I purchased this product from a mall kiosk and the sales representative was very knowledgeable about the product and showed pictures of people before and after the product. The sales representative as well performed a demonstration of the product on my arm. I was apprehensive at first since I do not have dark spots on my arm, but after purchasing the product and using it, I know it works. After one use, I had a new pimple as well as marks that have been on my face for longer than four months, the marks diminished to a lighter complexion significantly after one topical use. It says to use once a week, which I will follow, but just had to immediately comment on how this product works. I was ambushed by a young man in a kiosk at the mall, and urged to try this Refining Peel. I had to admit it was awesome! I bought it along with the Daytime moisture and the Night Cream as well. My skin feels rejuvenated each time I use it. It is pricey and I cannot buy it as often as I would like but if I could I certainly would. 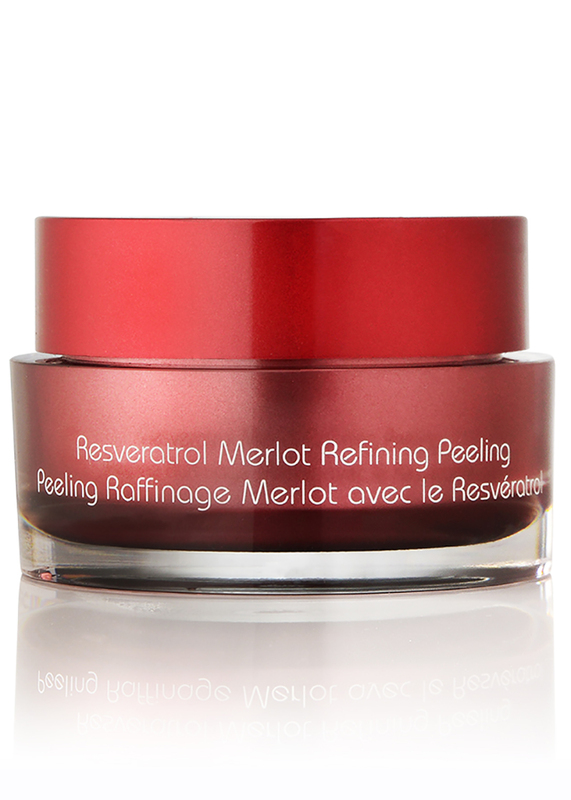 The Merlot Refining Peel is so awesome!!! My face feels so clean, smooth and soft after using this wonderful product and even has brought back a somewhat youthful appearance. I would love to use many more of the products but can’t afford to buy them. My hank you!!!! A very special treat for your skin. Feels amazing. I like to follow with the Chianti Thermic Mask, for a once a week facial. Posted by Did not want to believe it! On vacation in Puerto Rico, totally random, best purchase of our trip! I tried this in a mall. A girl made me try it. My husband was there. It was like a miracle. I couldn’t believe it! I didn’t feel like I could afford it but if u can u will not be sorry!!! Have used it before and it is totally fabulous!! I have to use heavier makeup because of my acne scars, and this product has done wonders for my skin. It really gets everything off my skin in a way that just makeup cleansing wipes cannot do alone. My skin feels clean and refreshed, and has never looked better! Cute packaging, too! After receiving a sample gift they give you it took me a while to try it as I have my VERY special product I WAS in love with.However I was blown away cant brag enough about the many I have now.My husband went a bought quite a few items for my Christmas, then more for my birthday. They kinda know me now and I see there are some great ideas out new. I get malbec,dont have the dry skin now,used the night cream,day cream, mask,hand and body lotion is superb,my husband has his could never get rid of the dryness. But I really did not believe there would be a difference in the reformative mask.when I can possibly afford it I would like thevitamin A.My granddaughter at 10 yrs. old gave us both a mask (spaday as I have a broken hand)took a video it is a laugh even she sees it truthfully. Have used this product for a year and love it. I have used this product along with the day cream and night cream……2 weeks I notice a big difference in my complexion. I hope to see noticeable improvement in the next few weeks too! I love it and just used it this morning! My face always feels so smooth afterwards. I have numerous skin issues and this product was awesome !!! 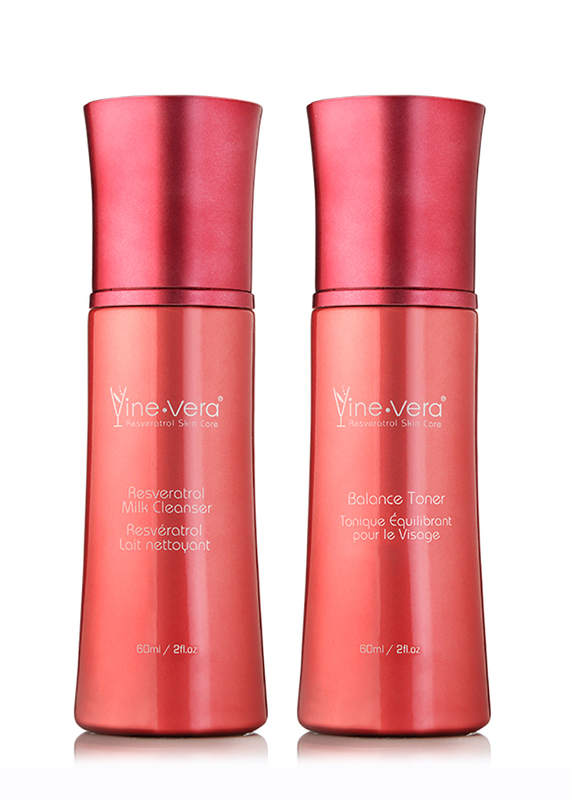 I’m a huge fan of Resveratrol and I just love this. It really does leave your skin feeling clean and radiant without drying it out. Tried this product at the CNE in Toronto and immediately fell in love! The difference with my complexion was immediate and noticeable. I purchased the day and night cream along with the eye collection. Very much looking forward to my new facial routine! 2013 at the Vine Vera store in Toronto and I still have product left. The packaging is fantastic, it comes with a cover so that it won’t drip and it lasts a very long time. You only need a small amount of it and it will cover your entire face. Apply this by using circular motions and the peeling works in an instant. 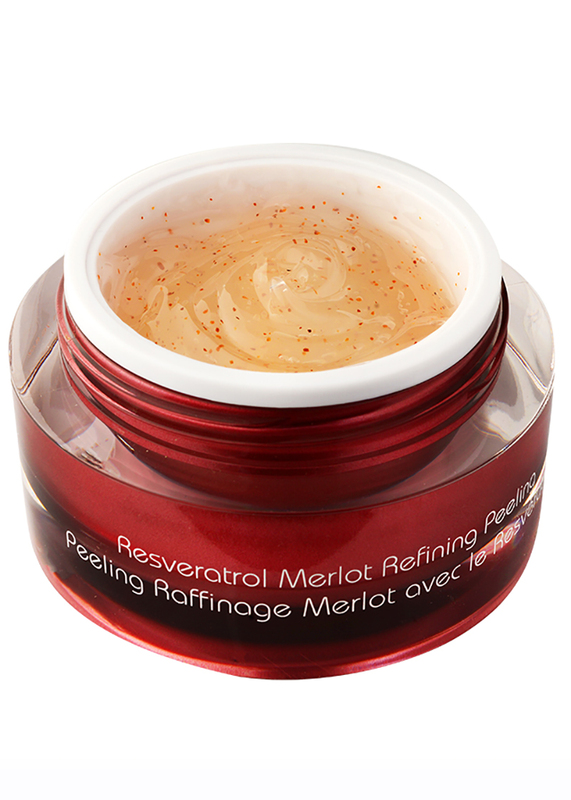 I use the Refining Peeling as an exfoliating treatment twice a week. It gently cleanses the skin and removes any dirt on your face. It is easy to use and definitely soothing as well. Fast and effective, and I need to get a second jar! Love , love , love this product. My skin liooks glorius, and at 61 was not expecting to have nice skin again! I feel like a newborn baby with peeling! I bought htis product because after tryinmg it it made my skin feel so moist and smooth feeling, though I so find it a bit pricy. Thankfully you do not need to use it daily as it has long lasting effects. Best product I have used so far. I Love this product! Thank you so much for creating this product. I was skeptical, but am glad I took the chance. My skin feels amazing, and I feel like I’m doing something to prevent future issues! 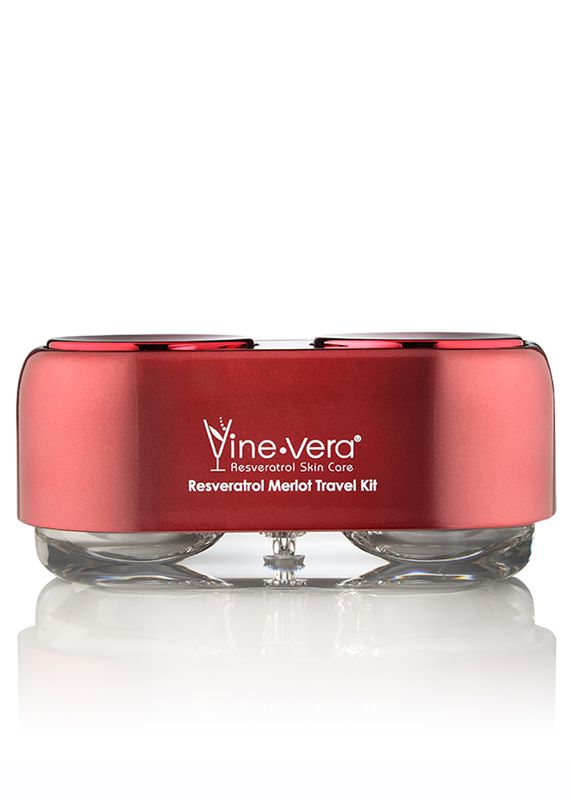 Love Resveratol Merlot! Works awesome! I have never used this product before, but I am always looking for new products for my aging skin. I have been using this product for over a year. I love it keeps my skin so smooth and healthy. My skin has never looked so good. When I am out with my husband, people think he is my father….when I am out with my daughter, they think she is my sister! I’m soon to be 65 and I couldn’t be more happy to have found my fountain of youth in Vine Vera! I absolutely love this product. It has changed the look of my skin so much. It is softer, firm and more luminous. Just bough Resveratrol Age Defying Eye Serum and Resviratrol Shiraz Instetic Non-Sugecal Syringe and I’m already feel in love with it.Notice results right away. I will keep trying new products from your line. I am using some samples of the day cream which I was given whilst on holiday in USA and I am finding it really good. Hope it is shipped ovreseas. Just used the peeling for the first time, and I can’t believe how gentle it is and how much it exfoliates. 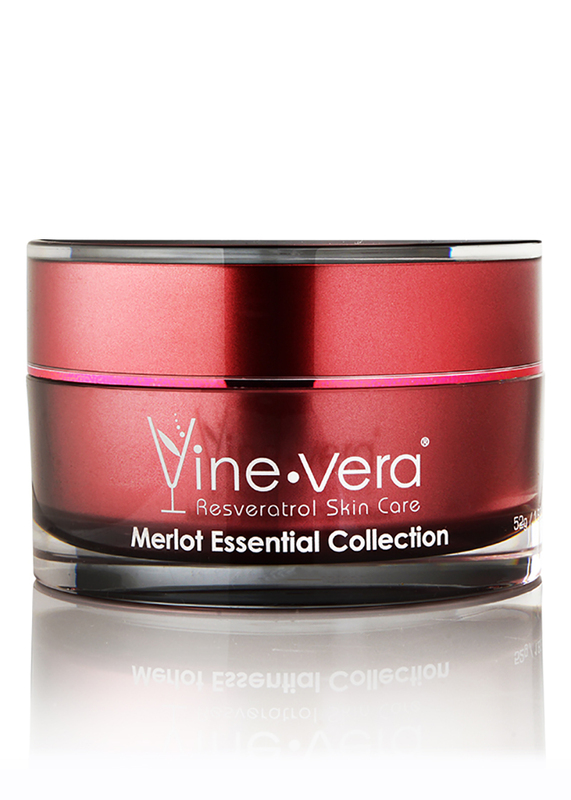 I have the reserval merlot peeling and it instantly shows dead skin cells and removes ahh dirt and impurities. Along with the mosturizor that comes with it helps smooth out my skin and make it feel very soft. Just tried in store at K.P. This stuff is amazing! Amazing! Dont spend money on botox, just be smart and invest in Vine vera products! I have the best skin ever in my life!!!! I look 10 years younger! Wow! My skin feels incredible. Just started and I’m already in love. Just tired it for the first time and really enjoyed it! Haven’t seen any results yet but I am waiting…. Although I don’t think I look out of the world or younger within minutes of applying the product, it really feels smooth on the skin. I have been checking product reviews here and find that it has actually worked wonders for some people. Hoping to see visible results soon! What A Way To Cleanse The Skin! I used the Refining Peeling for the first time and was shocked to see the amount of dirt and oil buildup that got sloughed away. It was almost as if I hadn’t cleansed my skin in months. Works wonders in terms of making your skin look better as well. My skin feels so soft and smooth and my face says thank you. I am completely bowled over by the Vine Vera Refining Peeling. 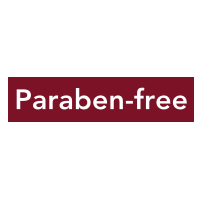 I have been following Resveratrol news a lot recently. Seems like the perfect ingredient to have. 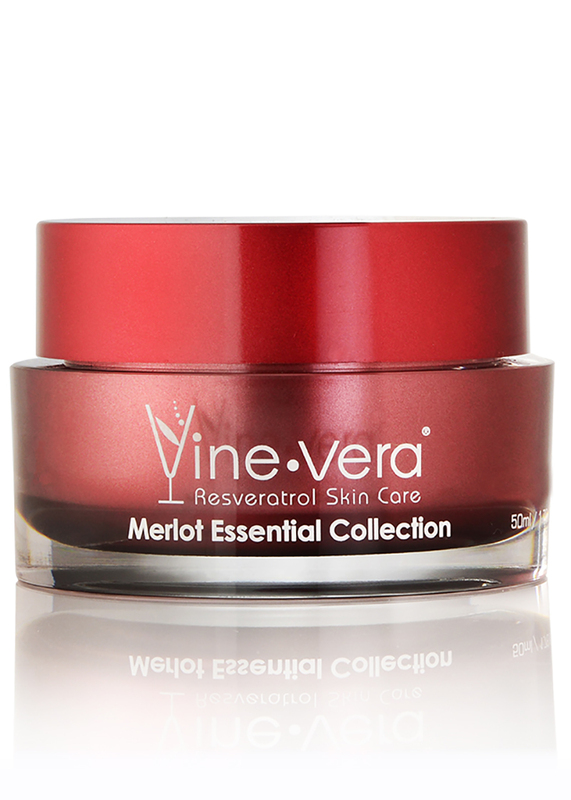 And what better way than Vine Vera, where every product has Resveratrol. I was offered a sample of the Day Moisturizer while in Manhattan. Came home and tried it out and found it to be the best moisturizer I have ever used. I cannot wait to try out the Refining Peeling. I have heard nothing but good things about the product. Just ordered for my Refining Peeling online. I purchased the Vine Vera Refining Peeling a couple of weeks back and have been using it as directed. I fell in love with the product during the product demonstration itself, but these two weeks have just made the bond stronger. The product has not only made my skin softer, I also look much better. 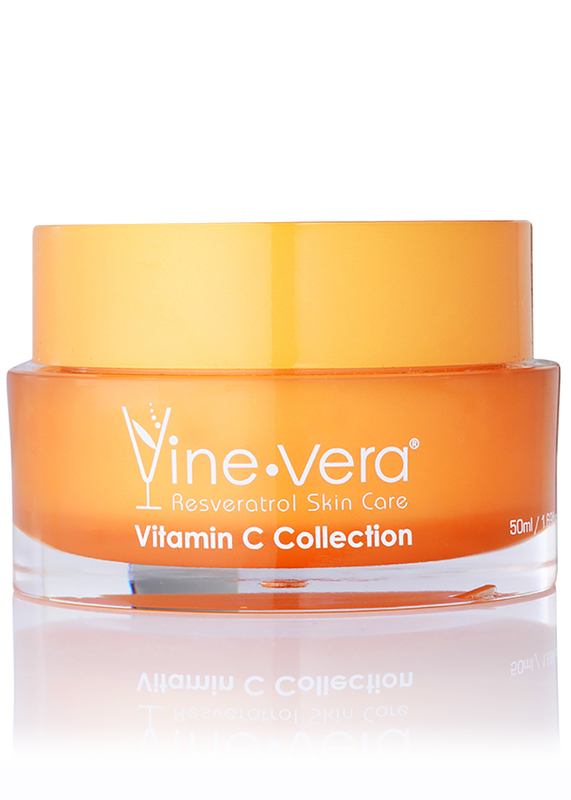 Have been using the Vine Vera Resveratrol Refining Peeling for almost 8 months and I really cannot fault the product. I found some negative reviews about this product and was astonished. I have nothing but good things to say, despite the price (a bit too much for my budgets). I find the product to work wonders on the skin and it is extremely long lasting as well. I was walking down New Bond Street in London. I was offered a sample of Merlot Day Cream and got invited for a dem of the Merlot Peeling. Amazing!!! So I bought the day cream and peeling. The price is a bit high but it is well worth it. The peeling is so light and not scratchy at all and it takes amazing amounts of dead skin and impurities off the face. I love the fact that the cream is not greasy and gets absorbed by the skin fast. This is my second week and my skin doesn`t dry. I am a fan. This product was a gift. I used the cream, smells lovely and left my skin soft. But the peel i left untouched because i was scared to use it. Once i hesitantly used it i was amazed of how well this product works. My sensitive skin loves this product!!! I bought this product in Las Vegas on a recent trip. I absolutely love it! OMG! !! I never say that but OMG. absolutely fabulous. Went to Ideal Home Show Thursday purchased the peel from lovely lady after demonstration. Just used it at home my skin has not felt so good in years. Will be investing in more products. You just have to try it. 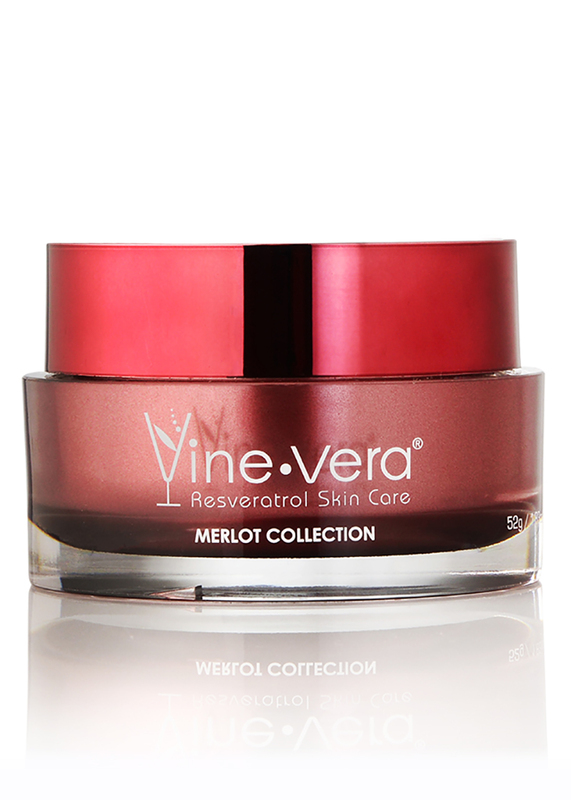 I got a sample of Resveratrol Merlot Moisture Day Cream on a recent trip to Las Vegas. Wow! It smooths my crows feet out around my eyes and just makes my skin so smooth. Wish I could afford to buy it!!! Best I’ve found for my wrinkles! My skin feels so much smoother after using this for the past 6 months. Love it! Best product ever! Just by using it in a week, it works perfectly! It’s made a huge difference on my acne, and has made my skin looking fresh and soft. It’s very gentle and no irritation at all. I totally recommend it! What I like the most about this product is that it is so soft and gentle and perfectly non-irritating. It sloughed away so much dirt and oil buildup from my skin, but I never felt any damage or irritation. Excellent product. I just checked out the ingredients used by this brand. They are some of the best ingredients used in the world of skin care. Hats off, Vine Vera. Hope to try your products soon! I really like Vine Vera as a brand. 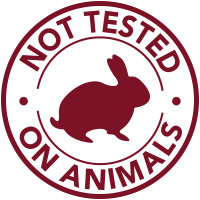 I purchased their products about 6 months ago and have been a regular ever since. The packaging is nice, but the products are fantastic. 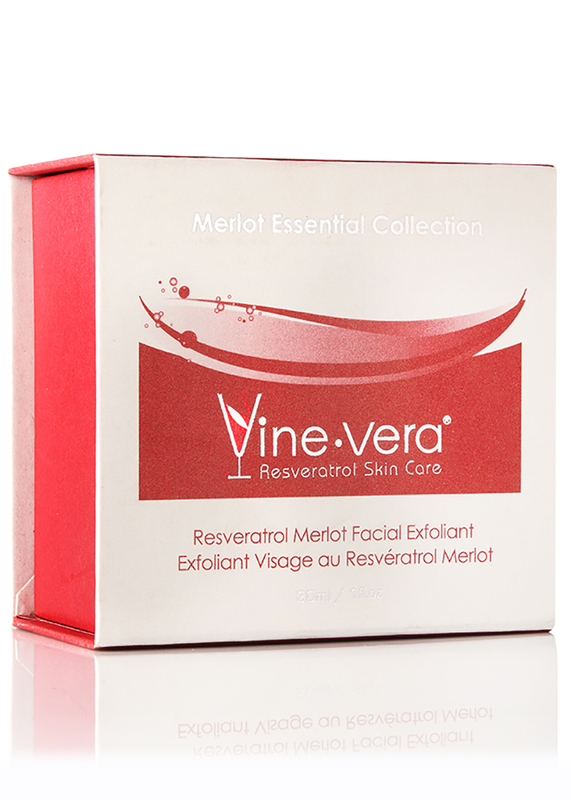 Each product has Resveratrol and a range of exciting skin cae ingredients. The products leave your skin softer and smoother and also make you look younger within days. Recently went to Edmonton on vacation and the lady pulled me over and talked to me about the product, of course with sellers at stands I tend to stay away, but i thought I’d listen to what she had to show me and so glad I did. She tried the peeling on my face and it looked and felt so beautiful after! So I purchased it and been using it for the past couple weeks and my skin feels absolutely wonderful. Also got given a sample of the moisturizer and it not only smells amazing it feels flawless. So impressed!! This product is great! But sometimes little particles get stuck to the thin hairs on my face and I have to remove them one by one. Other than that, it’s amazing!